Reginal saucers in Riviera Maya are one of the most culinary attractions when you visit this place Cancún and Riviera Maya are two important tourist destinations and they have a wide culinary offer, coming from all cultures, especially spanish and indigenous, and even merged among them. 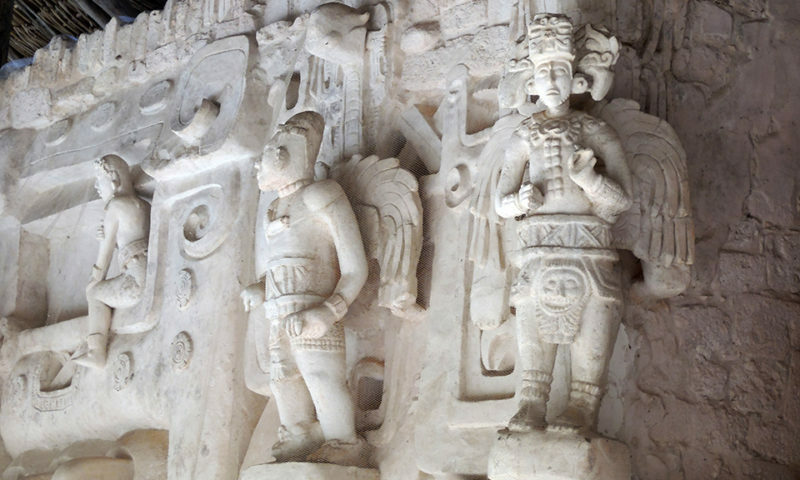 The heritage of Mayan cuisine with its unique mixtures and species of flavors and textures are what give origin and identity to the dishes of this tourist region. Below we list the main dishes highly recommended for their taste and originality. PANUCHOS Y SALBUTES: It is the equivalent of the southeastern taco, which are handmade corn tortillas, which can be accompanied by chicken, egg, beef or pork, served with lettuce or cabbage, avocado, tomato and purple onion. The panucho is the one who carries the ground beans inside the tortilla and not the salbute. 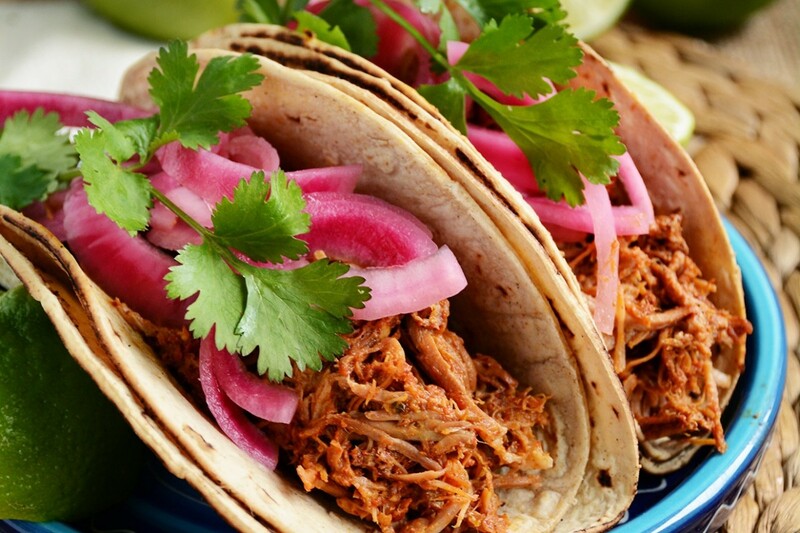 COCHINITA PIBIL: It is the best known and favorite dish of the visitors. 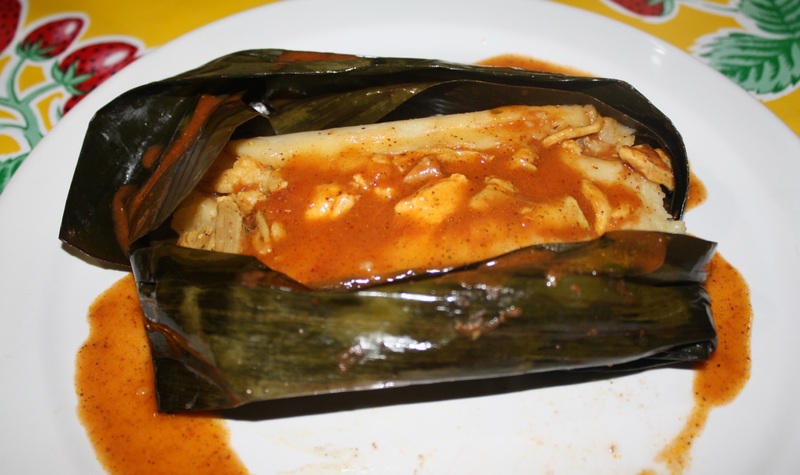 It consists of pork pieces marinated in achiote, sour orange juice, garlic, cumin, salt and pepper, wrapped in banana leaves and put to bake. The typical thing is to cook it in an oven underground. It is accompanied by tortillas, habanero chile, purple onion and lemon to taste. 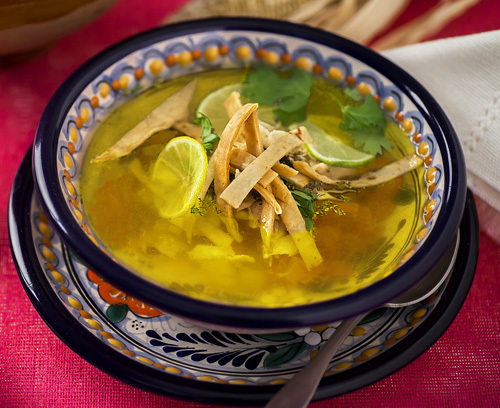 SOPA DE LIMA: This dish is prepared with shredded chicken, toast and lime juice. 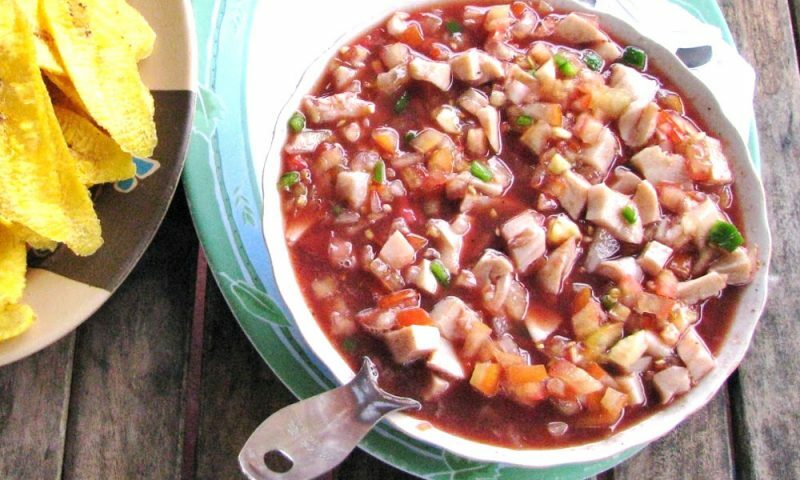 The recipe is very simple and the taste authentic. 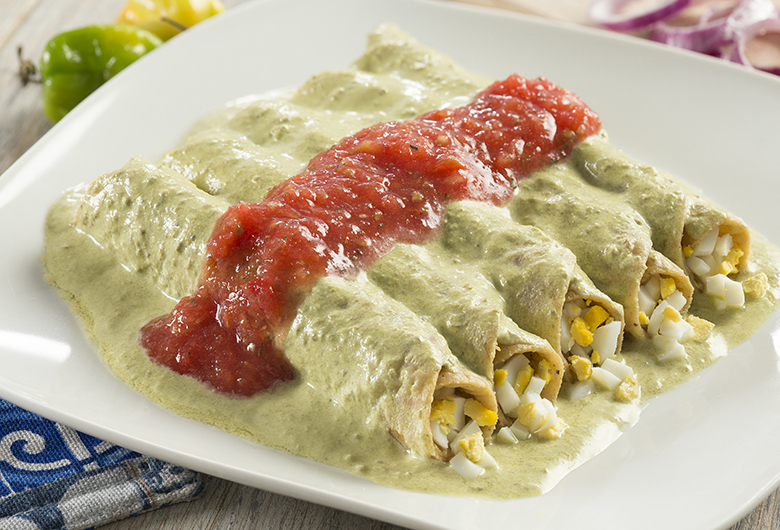 PAPADZULES: They are corn tortillas soaked in a pumpkin seed sauce, and stuffed with boiled egg and bathed in a tomato sauce, with chile habanero and onion. TAMALES COLADOS: They are called so because their mass is passed through a strainer, acquiring a very smooth consistency. The most typical are stuffed with shredded chicken and are accompanied with tomato sauce on top. Also of habanero chile if you want more spicy. 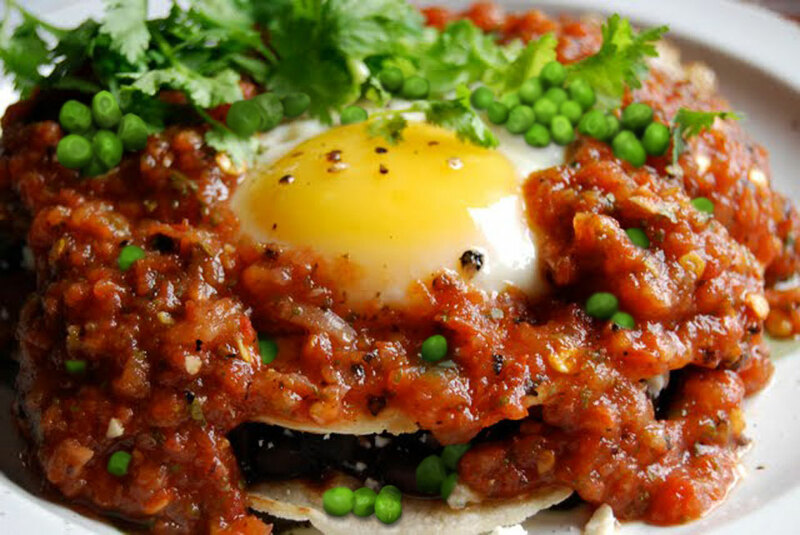 HUEVOS MOTULEÑOS: They are a typical dish of the city of Motul (Yucatán). Made with eggs, fried tortilla known as toast, black beans and a garnish made with a sauce of tomatoes, ham, peas, banana and cheese. 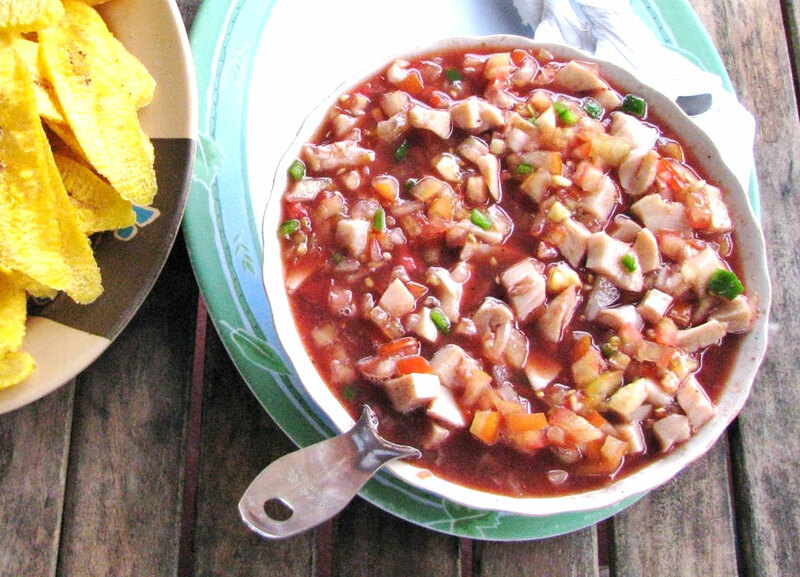 CEVICHE DE CARACOL:The raw meat of the mollusk is softened with a flat stone. Cut into small pieces and bake with lemon and then add onion and chopped tomatoes. Chile also chopped or bottle sauce to taste. 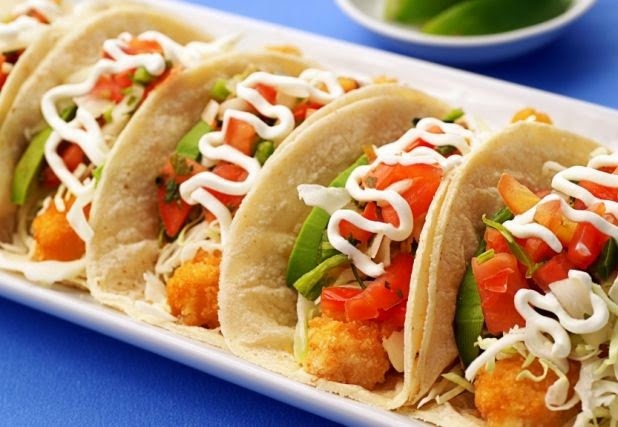 TACOS DE PESCADO: There are both, grilled and breaded fish as well as shrimp. They are accompanied with lemon, habanero, and garnishes of mayonnaise or garlic and even with tomato or chipotle chile without missing the purple onion and salt to taste.